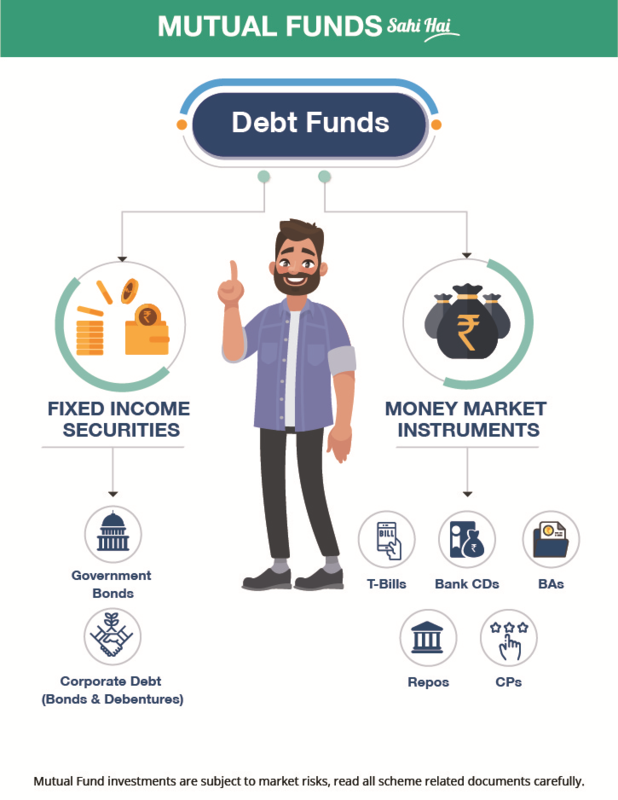 Debt Funds invest the money pooled from investors in bonds issued by banks, PSUs, PFIs (Public Financial Institutions), corporates and the Government. These bonds are usually medium to long-term in nature. When a Mutual Fund invests in such bonds, it earns periodic interest from these bonds which contribute to the fund’s total return over time. 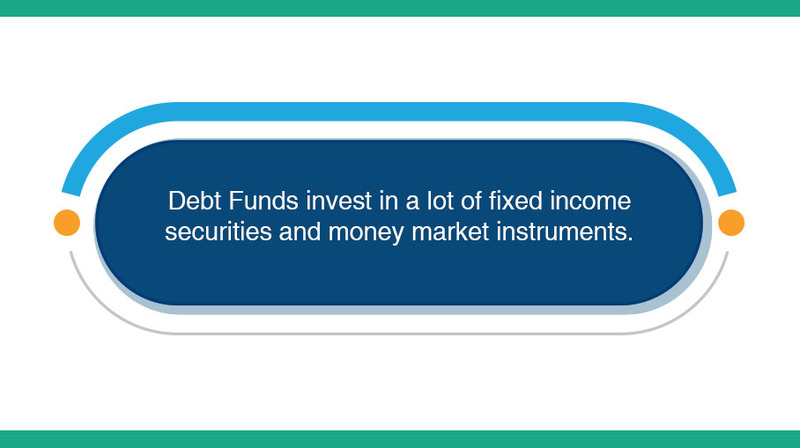 Some Debt Funds also invest in money market instruments like T-bills issued by the Government, Commercial Papers, Certificates of Deposits, Bankers’ Acceptance, Bills of Exchange, etc. which are more short-term in nature. These instruments also promise to make fixed interest payments at regular intervals which contribute to the fund’s overall return over time. While both bonds and money market instruments promise their investors i.e. your Mutual Fund to make regular interest payments in the future, they may fail to meet these obligations under certain circumstances like financial distress. Hence, while Debt Funds are considered more stable than equity funds, they still carry some risk because these issuers may fail to make timely payments which form a significant portion of the fund’s total return.